Credit is needed for business expansion, new income-generating activities, or even to deal with cash flows. Some 80% of the people we recently surveyed had taken a loan in the past year, but most of them had borrowed from friends, relatives or moneylenders. Formal sources of credit like MFIs are deepening their penetration, but nearly 40% of our respondents said that their biggest concern with taking loans for business expansion is in getting good guidance on how to use the money. 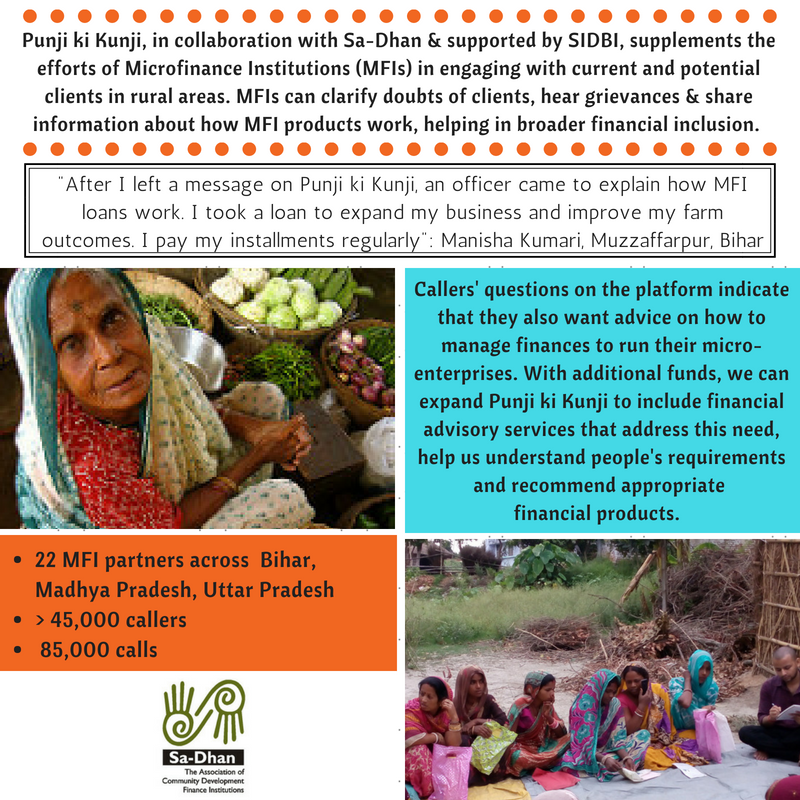 Our service Punji ki Kunji, run in collaboration with Sa-dhan and SIDBI, introduces and clarifies questions around borrowing from microfinance institutions. With more funds, we can expand the service to address the significant need for guidance on how to use their credit effectively.